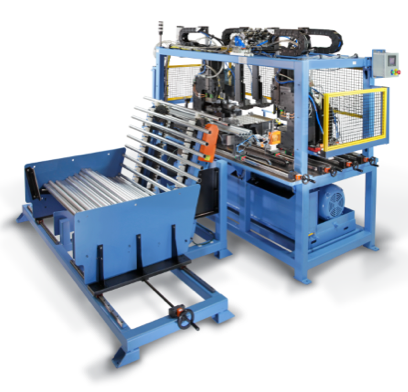 At Rotem, we are committed to providing the best industrial solutions in the market. We’re proud to provide Aeroex mist collectors which offer the best leading edge technology for emission control for your shop. Oil mist collectors should be powerful, efficient, and effective to protect your workplace, employees, products, and bottom line. Made right here in Ontario, Aeroex units offer multi-stage separation with over 95% of fluid removed without costly expendable filters. 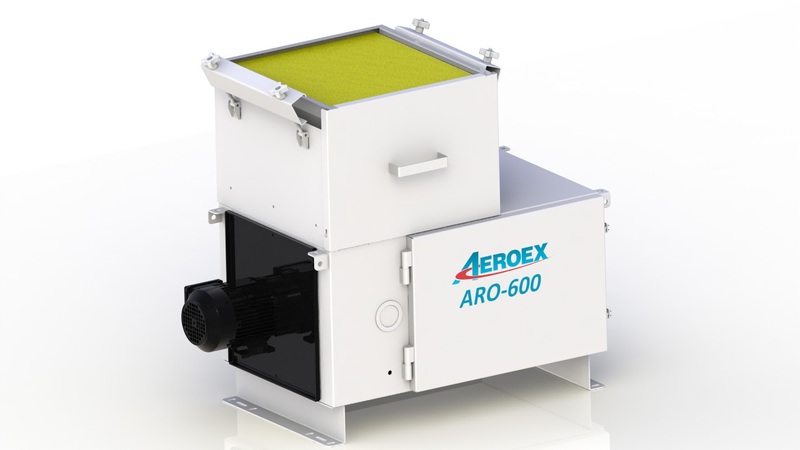 Aeroex filters air to approaching zero emissions with less than .05mg per cubic metre! The difference between Aeroex and other mist collectors, such as Filtermist or Smoghog, is in the filtration. A common issue with many competitor’s models is that the expendable filters are both costly and form the first line of defense. With the Aeroex mist collector, the first stage is an innovative mechanical element that does not require replacing yet removes 90% of the mist and solids. The second stage is a special stainless steel wire mesh weaved with oil attracting fibers that can be power washed and reused-it typically lasts 10 to 15 years! The 3rd and 4th stages capture the smallest mist articles and lasts 1-3 years. A 5th stage HEPA filter captures sub-micron particles and holds more oil than any of our competitors. Cross flow design on the Aeroex means that unlike our competitors’ upflow design (where oil drips directly into the airflow and filter below), ours provides optimum separation and oil drainage. These are just a few of the advantages that Aeroex oil mist collectors boast over the competition. At Rotem, we are excited to offer all the ARO mist collector models by Aeroex – ARO-400, ARO-800, ARO-1100, ARO-1400, ARO-2000m ARO-2500, and the always-popular ARO-600. For more information about the Aeroex mist collectors, visit our product page or contact us today!